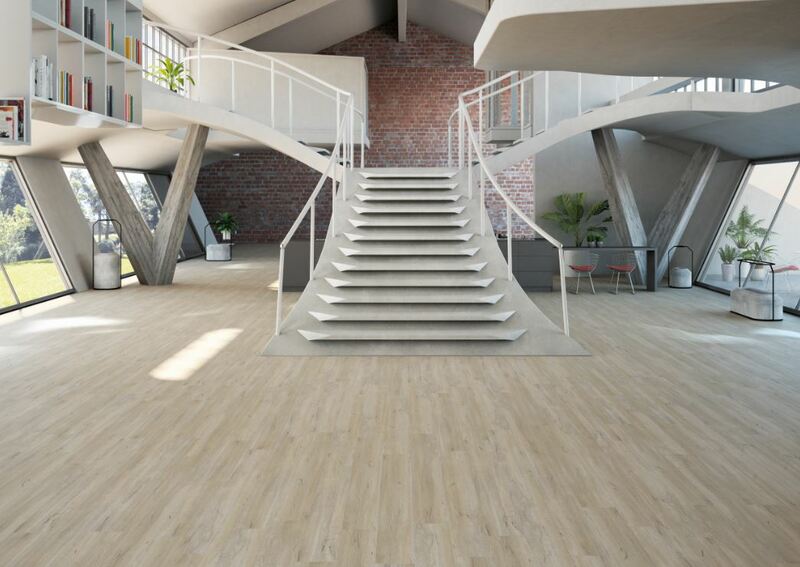 Tiletoria and its sister company, Floors Direct, offer the unique Creation Range from Gerflor. The range includes both tiles and planks in a series of wood effect motifs, as well as very realistic mineral and metallic effects. The range comes in a large variety of sizes and around 200 different colours. The composition of the planks and tiles is guaranteed to be hygienic and low maintenance, thanks to a surface treatment with polyurethane (PUR +). In a number of flooring sectors, especially the retail sector, aesthetic renewal has become a priority for clients. Gerflor is renowned for being attentive to design trends, which is why they also launched the Exclusive Edition range to complete the Creation range. The Exclusive range is characterised by great compositional freshness and trendy finishes: wood and oxidized for an industrial effect. These planks and tiles are available for installation with permanent glue and have been completed in the popular XL format: 150x23cm. If your client is in the tertiary sector and runs a boutique, office or restaurant, for example, then Creation 55 offers the ideal solution. For the wood, the new authentic looking “grey woods” stand out with their refinement and rustic motifs. The new Chevron/Herringbone finishes are also available in three decors namely Moka, Hurricane and Buckwheat to characterise every type of environment in a refined way. The dimensions of the formats of the Creation 55 Exclusive Edition range start from a minimum length of 121.9cm up to the new XL 150x23cm format. The tiles also come in a new 46x91cm format with a “rust” effect. This revolutionary range is set to become the playground of choice for specifiers. When you invest in flooring by Gerflor, you are investing in design and continuous stylistic research. Most of the designs are registered and owned by Gerflor, so they are unique and not replicable. For more information contact Tiletoria on Tel: +27 (21) 202 0160 or via www.tiletoria.co.za. If you enjoyed this article please join other discussions on http://www.facebook.com/buildinganddecor, http://www.twitter.com/buildingdecor and https://www.linkedin.com/showcase/10172797/ and sign up for our newsletter: http://www.buildinganddecor.co.za/register/.